Identity theft is a matter of great concern. There are scores of people who become a victim of this menace. However, the good news is – there are companies and agencies engaged with monitoring of identities of their customers. If needed, they also advertise and adopt other effective ways to find such thefts. How Does The Service Starts Working? Several companies offer this service. Almost all of them require you to first sign up for their identity protection plan. The service offered by them will depend on the plan you choose. Monitoring of your credit reports is the most significant feature of the service. All activities are monitored on a regular basis. Any untoward movement notices is instantly brought to your notice. Sophisticated technological tools and techniques are used to scan the internet. This helps in unearthing any transactions that involves your bank accounts, name, social security numbers, credit card numbers, and so on. Clients are instantly notified when such information has been used elsewhere. Your mailing address records are under the watchful eyes of the service provider. The first thing an identity thieve will do is to change your mailing address. Hence, every time there is a change in your billing or mailing address, you will be instantly notified. In instances where you lost your wallet containing credit cards, on reporting this loss to the company they cancel the cards. If they are not able to do so, they provide satisfactory reimbursement for stolen funds. Some services even cover the children’s personal information. Minors are the most venerable targets of these identity thieves. The crimes committed by them become known much later. Therefore, safeguarding your children’s information is very important. How Important Is The Protection Service? These days most people use the internet to find information, exchange sensitive information, buy and sell products or services. In a way, this has made exchange of information a matter of few seconds! At the same time, it has invited unscrupulous monetary thieves who are in the habit of stealing personal information for monetary gain. The personal information being talked about could be anything – social securities, passwords, usernames and addresses. Theft of such information can result into monetary loss of few thousand dollars to millions. This is where the identity protection service works like a godsend. The firms and companies offering these services are well versed with the entire process. 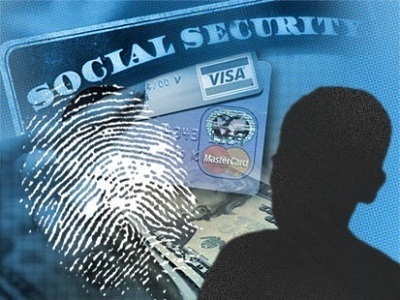 They are accustomed to detect people who attempt to tamper with ID information. They offer perfect guidance and assistance to victims to restore and prevent identity thefts. When you choose one plan, it comes with insurance benefits. Thus, they make appropriate monetary compensation as well. These services are known for their innovativeness. It employs different technologically advanced methods to protect your identity. Yes, it is true no matter what plans you choose, your credit card is still prone to identity theft. However, when you avail this service, every time a merchant entertains a credit card payment, it is alerted to verify account details before granting access. Normally, passwords are required to be entered before granting access. Therefore, when your credit card is used by a thief to make a purchase, they are denied access. Even your bank gets alert edinstantly. Identity thieves have become sophisticated. The best way to combat their attacks is to use latest technological tools and techniques. By stopping sensitive information from reaching these thieves, their deceitful acts are prevented. Identity information and personal details are sold illegally to undesired entities. The service takes the responsibility to investigate illegal operations. Such pro-active measures from the service provider prevent your personal information from falling into wrong hands. There are many who indulge with regular online transactions for their online shopping needs. The simplest and easiest way to prevent identity theft is to deal with legitimate online stores only. However, despite this, there are times when one is compelled to deal with a non-legitimate site. This service is ideally meant for such people. Who Can Avoid This Service? Not all buyers prefer doing online monetary transactions. Many hardly make use of their credit cards. They prefer to do cash transactions. This means, they are not required to furnish sensitive and vital personal information at all. Hence, such people can easily skip this service. Plenty of them have good online presence. You just need to visit their website, go through the details about their services and sign up. Currently they are offering best identity protection services or theft protection services at discounted prices. Just make sure to choose an authentic and reliable company. This can be achieved simply by asking them for references. Alternatively, you can even go through few customer testimonials to judge their competency and trustworthiness. Some of them offer free trail packages, which have validity for approximately 14 to 30 days. They also advertise their services through pop-up windows in certain sites. Once the coupon details are furnished, it gives the user a right to avail their services. Marie Safel, a professional writer, specializes in finance & Loan, automated solutions Services, Software, Technology, Technology Services as well as compare pay day. I do write articles, scripts, books and other materials for clients. Really very informative. Enjoy reading the blog post.